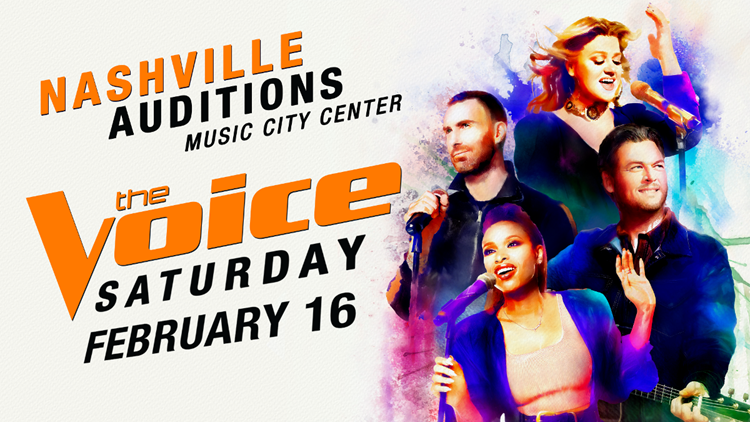 The Voice will be holding open casting calls in Nashville on Saturday, Feb. 16 for Season 17 in the fall. Coach KB will take six contestants who didn't make the show and coach them through several battle rounds in the online series. One will eventually make it on The Voice live shows. The season 12 winner performed his new single "Blue Blood Blues" during Tuesday night's season 13 finale. Mt. Juliet native Chloe Kohanski and Dickson's Red Marlow gave their final three performances on Monday night's show. Each debuted original songs, played one cover and performed their own duets with coach Blake Shelton. Chris Blue will be on the season finale of NBC's The Voice Tuesday night on WBIR. Knoxville native and winner of NBC's "The Voice" Chris Blue will perform with the Pride of the Southland Marching Band during halftime of UT's game against LSU at Neyland Stadium. 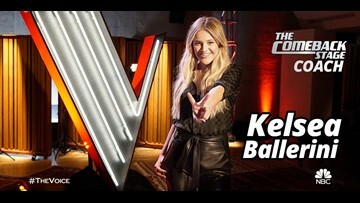 The Voice winner was originally just supposed to have one performance, but the tickets were in such high demand that a second and then a third show were added. By popular demand, 'The Voice' champion Chris Blue will be performing in Knoxville for not one, not two, but three nights at the Tennessee Theatre. Hundreds of thousands of people are expected to gather in person to watch the concerts and fireworks in Washington D.C., with millions watching from home. We've followed Chris Blue's journey on The Voice from the very beginning, and were very excited to welcome the champ and his wonderful family to WBIR! Chris Blue might have made it look easy, but his mentor says the newly crowned 'Voice' champion's success came from years of hard work and undying determination. Chris Blue's emotional journey on The Voice wrapped up Tuesday evening with the Knoxville singer being crowned the season 12 champion. From his dance moves and emotional performances, to his hometown pride, it's been an incredible season following Chris Blue on The Voice.